There are two kinds of naturally occurring iron in foods that are absorbed and handled by our body differently. In a diet for iron overload, it is important to understand which foods you should pay the most attention. Heme iron is found only in meat, poultry, seafood, and fish, so heme iron is the type of iron that comes from animal proteins in our diet. Non-heme iron, by contrast, is found in plant-based foods like grains, beans, vegetables, fruits, nuts, and seeds. But don’t make the mistake of assuming it’s only in plants. Non-heme iron is also found in animal products such as eggs or milk/dairy and it is also comprises more than half the iron contained in animal meat. Animal meat is a combination of heme and non-heme. Dairy and eggs are non-heme. Plant foods are non-heme only. Heme iron is more easily absorbed and is therefore a large source of dietary iron for people both with and without hemochromatosis. Non-heme iron is usually less readily absorbed than heme iron. Especially in people without hemochromatosis, non-heme iron tends not to be a big source of dietary iron. This, of course, is going to be different in those with hemochromatosis, which I will explain more in a minute. It is important to note that heme iron comprises only 40-45% of the iron in meat. The rest of the iron contained in meat is actually this non-heme form (55-60%). So when you see the milligrams of iron listed for a portion of meat, approximately half of that is heme and half is non-heme. This becomes important to understand when thinking about substances that help block iron absorption, as most work to only block non-heme iron. This is one reason why a vegetarian (without hemochromatosis) is more at risk to develop iron-deficiency anemia than people who eat meat; the exclusively non-heme iron found in plants just isn’t as available to our bodies as heme iron is. People who eat meat are getting both non-heme and heme iron while vegetarians only get non-heme, even if they include dairy and eggs. The absorption of non-heme iron in people without hemochromatosis is approximately 5-12% of the iron listed on the nutritional label. This is because during digestion, the body has to alter non-heme iron in order to fully take it in. Heme iron is a different story. In someone without hemochromatosis, 20-30% of the heme iron they consume is absorbed from a meal. In hemochromatosis, however, the absorption of heme iron is up to four times greater, meaning 80-100% of heme iron can be absorbed! The Iron Disorders Institute provides a nice real world example of how this may work. Say you eat a 4 oz hamburger containing 1.2 mg of heme iron. Someone with normal iron absorption might absorb 0.3 mg of heme iron from that burger. But someone with hemochromatosis might absorb the full 1.2 mg. Take that a step further and imagine meal after meal, day after day, year after year. If every hamburger consumed leads to this amount of iron absorption, then it can really add up. 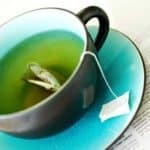 This variation between what a food label states and what our body actually absorbs makes questions like, “How many milligrams of iron should I eat?” such an impossible question to answer. As you’re maybe starting to realize, it’s just not that simple! Heme iron…is well absorbed and relatively little affected by other foods eaten in the same meal. On the other hand, the absorption of non-heme iron, the major dietary pool, is greatly influenced by meal composition. But when I say affect, I don’t just mean in a good way. 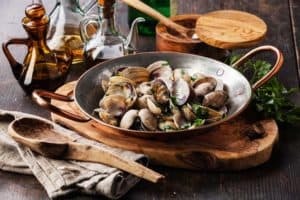 The absorption of non-heme iron can be dramatically increased by unknowingly combining it with foods that make its affects WORSE for our situation. 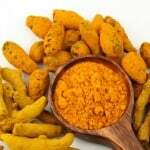 For example, certain foods may increase the absorption of non-heme iron from seemingly benign foods such as rice and corn two or threefold- which is the last thing we want. But on the other hand, that same knowledge can be used to help reduce the iron absorbed from our meals. Knowledge of how food combining impacts non-heme iron absorption is a very powerful tool to have! In reality, a well-rounded and nutritious diet is likely going to contain both heme and non-heme iron. That’s just a fact, and it’s hard to avoid. Fortunately, many delicious foods and healthful nutrients can be combined to help reduce iron absorption from our meals. We should be very conscientious to include the nutrients that impair non-heme iron (and one that also impairs heme iron!) absorption as part of our overall diet. 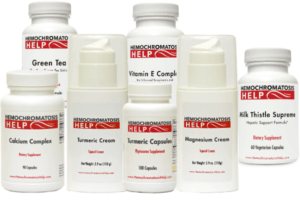 I have spent years researching the most helpful dietary, nutritional, and natural remedies to help assist people with hemochromatosis to eat a healthy and nourishing diet. At first, it seems like there are a lot of “rules” to follow and that eating properly is an overwhelming task. I know, as I’ve been there. What I have sought to do is to create comprehensive, yet practical everyday strategies to simplify the best ways to think about diet for iron overload. 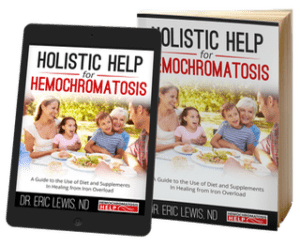 As a result, I have written an entire book on a healthy diet plan for hemochromatosis. And what I have found is that in a hemochromatosis diet plan, it’s actually the timing and combining of foods that can be potentially more helpful (or harmful) than the foods themselves. 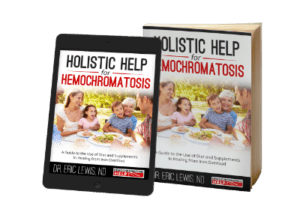 You can receive a free sample of my hemochromatosis diet book by joining my mailing list. This book describes ways to think about heme vs non-heme iron, which special nutrients and foods can protect you, what precautions to take, and which commonly made suggestions may not be the best advice. We all have to eat, and many nutritious foods contain iron in them, therefore it is important to understand heme iron vs non-heme iron so we can make the best choices for our health.